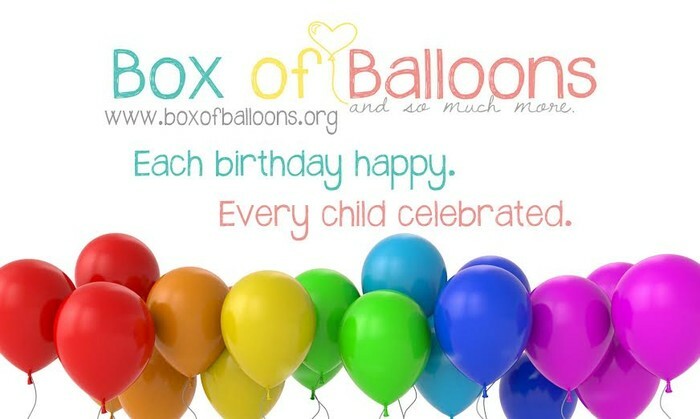 You are invited to a Box of Balloons Night where we will eat dinner together, fill birthday boxes and maybe meet some of the families!!! 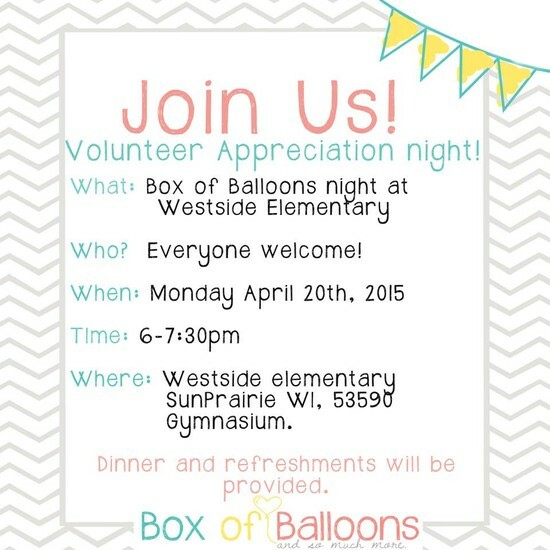 In addition to our local volunteers we have invited 8 families whose children attend Westside Elementary. The 8 boxes we will fill this night are for these families and our hope is they will come, eat with us, mingle and the parents can help you fill their child's birthday box while the kiddos play in the gym. We aren't sure if these families will take us up on our invite but wouldn't it be so cool if they come!!! Our April birthday box requests will be a LIVE box fill this night so if you sign up to donate an item for one of the boxes please bring it Monday April 20th to Westside. If for some reason you cannot come this night please put your item in the drop box at 1322 Heritage Lane, Sun Prairie by Wednesday April 15th. Click the links below to help make birthdays happy on April 20th!!! Please RSVP so we have enough food for everyone!! !